Check-in is available 24-hours a day. Front desk staff hours vary by season. In the event the office is closed, guests may use the complementary phone located by the front desk entrance to contact our security company for assistance with check-in. The security company phone number is posted by the phone. Westbound Hwy 40 - Turn Right on Walton Creek Rd. (1st stop light). Proceed approx 1/4 mi. and turn left on Village Dr. Proceed to Apres Ski Way (stop sign) and turn right. Proceed on Apres Ski Way for about 150 yards and you'll notice the Phoenix on your right. Eastbound Hwy 40 - Drive through downtown Steamboat, and past Mt. Werner Rd. At the next Stop Light, turn left on Walton Creek Rd. (1st stop light). Proceed approx 1/4 mi. and turn left on Village Dr. Proceed to Apres Ski Way (stop sign) and turn right. 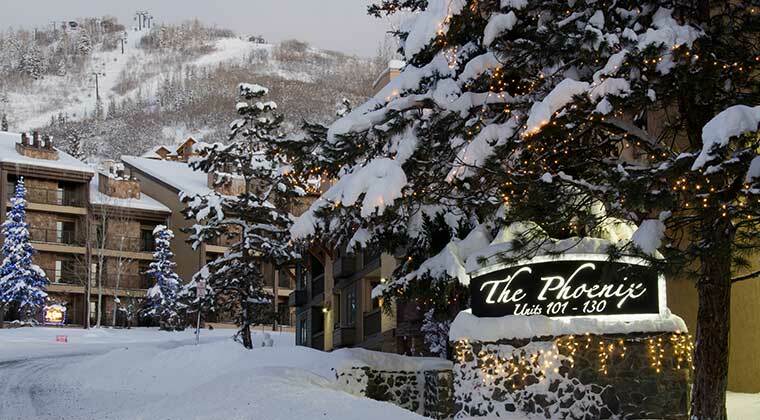 Proceed on Apres Ski Way for about 150 yards and you'll notice the Phoenix on your right.